Here’s what you need to know about the newly discovered link between Pitocin and postpartum depression. Take note if you are becoming a doula! As you are becoming a doula, you’ll realize the importance of continuing education. Your clients will rely on you to be up-to-date on all the latest evidence-based research. Not only that, it may change the way you relay information to your clients, and how you support them. A new study was released earlier this week examining the link between synthetic oxytocin and the development of postpartum depression and anxiety. When you are becoming a doula with the International Doula Institute, you will learn more about both oxytocin its synthetic version. Often referred to as the “love hormone”, or “contraction chemical”, oxytocin plays a key role during labor. Although relatively little is known about the hormone, we do know that it’s crucial for starting labor. It’s effects on the laboring woman are body-wide. There is also data to suggest that it spurs secretion of endorphins, which can help buffer fear and pain. 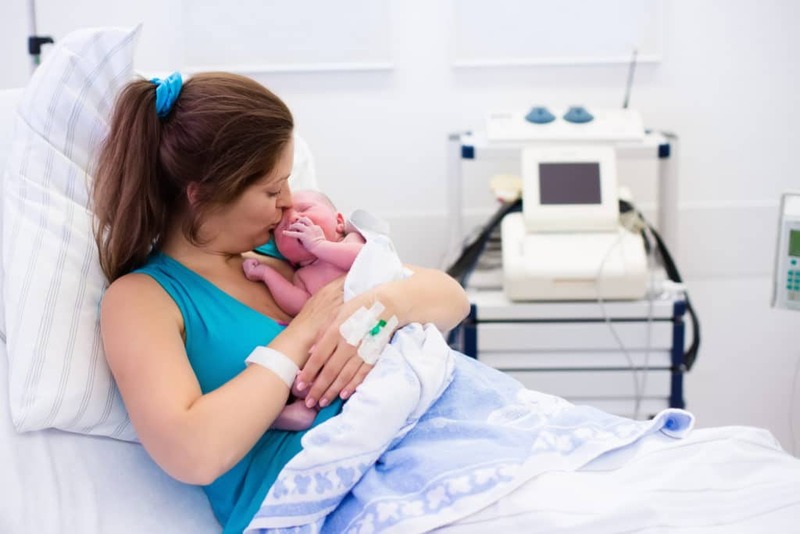 The synthetic version of oxytocin, commonly known as Pitocin, is used to augment labor or help curtail postpartum hemorrhage. After becoming a doula, it will be important to understand the role of Pitocin in labor and delivery. Clients will inevitably have questions about its use and effects. Administered intravenously, it is often used to help “speed up” labor. Pitocin causes contractions that are more intense than natural ones. Additionally, unlike oxytocin, it does not cross the blood-brain barrier. This means that the laboring woman gets the effects of oxytocin without the good feelings that are associated with it. New research suggests that the use of synthetic oxytocin is correlated with the development of postpartum depression and anxiety. It is commonly accepted that 1 out of 7, or 15%, of new mothers will suffer from postpartum depression or anxiety within the first year after childbirth. However, due to underreporting, the stats could be as high as 1 out of 4, or 25%, of new mothers. Therefore, this newfound link to synthetic oxytocin will have important implications for everyone who works with new mothers. After reviewing 47,000 births, the researchers from the Feinstein Institute found that women with a history of depression or anxiety prior to getting pregnant were 36% more likely to experience postpartum depression when given Pitocin. Women who did not have a previous history of depression or anxiety were 32% more likely to experience postpartum depression when given Pitocin. These findings could be instrumental in helping to lower the rates of postpartum depression. For anyone who is becoming a doula, there a few things you can do based on these findings. Prenatally, it will be important to tell your clients about this study as you help them research common birth interventions. Encourage them to talk to their care providers and carefully examine the risks. If you are working with them postpartum, ask your client if she was given Pitocin. This way, you can be on higher alert for signs of postpartum depression and assist your client in finding help, if needed. After becoming a doula, continue to check back here. We will keep you updated on any additional findings associated with this research.